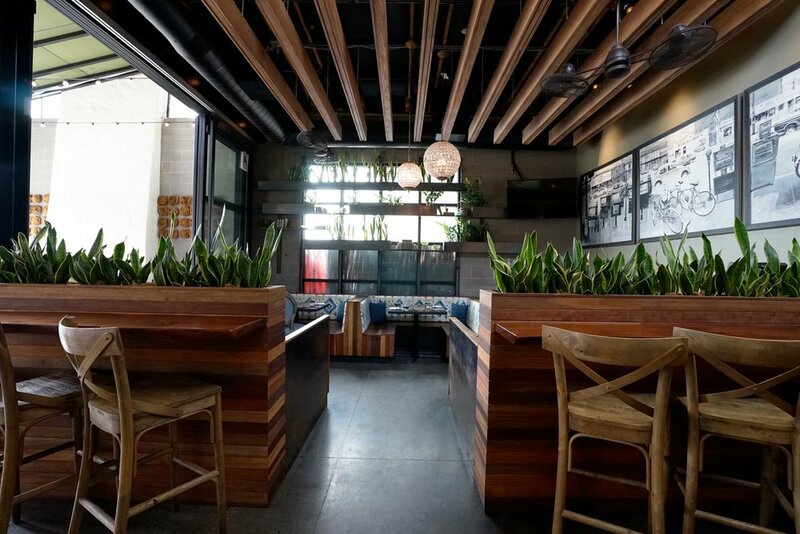 Located in the heart of Mission Hills, The Patio on Goldfinch is the quintessential neighborhood eatery that just got chicer. Tasked with creating a cozier atmosphere in the bar annex, we transformed the space, adding in booth seating and extending an existing banquette, as well as a secondary bar seating area. Our primary goal with the project was to create a signature space (now known in The Patio as "the nest") that invited conversation, lingering and enjoyment, while staying true to the existing Patio brand. We're proud to say it's now the most requested seat in the house.